Exquisite and flawless – Kikunoi has perfected everything from the garden to the restaurant building, tableware, and of course, cuisine. A veritable “living museum”, this traditional Japanese haute-cuisine restaurant has furnishings and decorations that take your breath away at every turn. At once honoring centuries of tradition and history and showing open-mindedness for the world, Kikunoi has been delighting guests with delicious Japanese cuisine for more than 100 years and plays a major role in its promotion around the world. 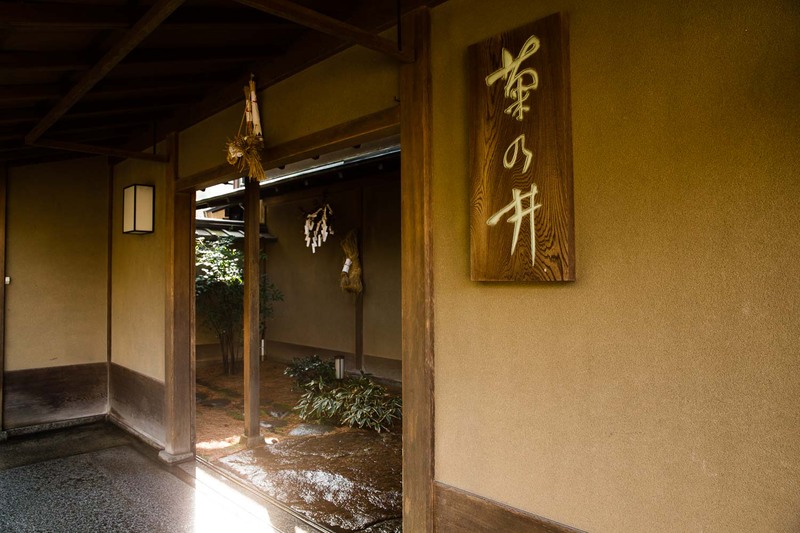 One of the most famous restaurants of Japanese cuisine the world over, Kikunoi was established in 1912 by the grandfather of Yoshihiro Murata, the present and third generation chef. It sits amid the tranquil green setting of Kodaiji Temple not far from the brilliant vermillion gate of Yasaka Shrine in the Higashiyama area, which has overlooked the Kyoto townscape since ancient times. Located on more than 3000 square meters in the heart of the mountain, the building occupies just one-third of the land, with the remainder being the beautiful grounds that bring calm and quiet to this space. For many generations, the Murata ancestors were tea servers who protected a well that sprang up in the shape of a chrysanthemum, or kiku in Japanese. It is said that Kitanomandokoro, the wife of Shogun Hideyoshi Toyotomi, made tea with water from this well. When the restaurant opened using water from the very same well, it was given the name Kikunoi, meaning ‘chrysanthemum well’. Water is the key element in Japanese cuisine, indispensable in dashi – the umami-rich stock that delicately flavors almost every component of a Kaiseki course. Customers today can still enjoy the taste and tradition of cuisine based on this incredibly historic water and see the deep connection in the chrysanthemum motif around the restaurant on the crest and on dishes. With an impressive atmosphere much like a luxury ryokan (traditional Japanese lodging), you may be apprehensive about stepping inside Kikunoi, but the courage to do so is rewarded with the view of plants vibrantly green or in full bloom – pine, bamboo, camellia, Japanese apricot, cherry blossoms – instantly setting the stage for the season. The seasonal motifs are carried through on a hanging scroll inside the entrance, and soon you will be greeted in perfect English by a graying doorman in charge of footwear. In an instant, Kikunoi exudes history and all that is Japan and yet surprises you with its modern worldly outlook. This juxtaposition is carried throughout the meal, striking for how seamlessly it works in the dining experience at Kikunoi. After removing your shoes to glide over the soft floor to your dining room, you pass by countless works of art. This is the “living museum” Chef Murata talks about. Each month, each season (of which there are 24 in the ancient calendar), Murata and his wife select new pieces to celebrate, including fresh flowers all arranged by the proprietress. Every guest can feel like royalty dining in one of ten private rooms seating from two to fifty people. The rooms are incredibly spacious and beautifully appointed. 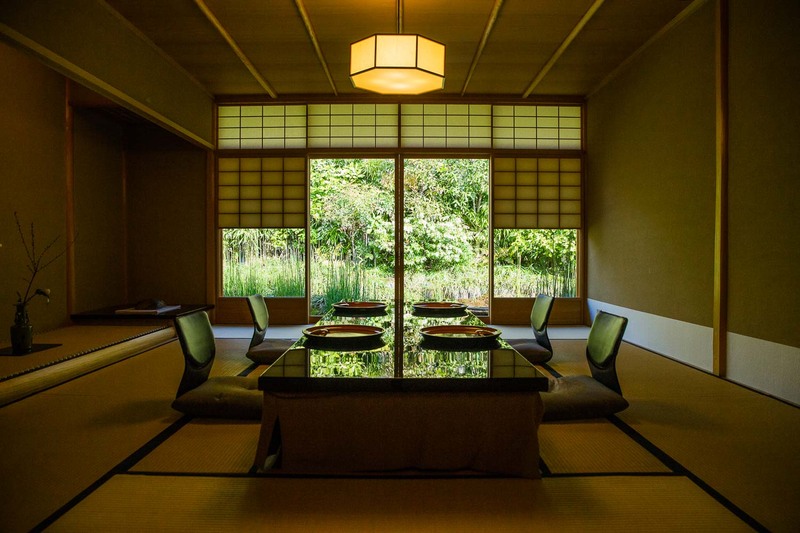 Most are traditional tatami mat rooms, but several have hori-kotatsu sunken tables allowing guests to extend their legs below the table and relax into the dining experience. The view over the spacious gardens from the broad glass windows is stunning, and the first floor rooms overlook a bright white raked sand garden designed to look like waves with the playful touch of a turtle examining its reflection in the ‘water’. One room was designed as a boat by the chef himself, and deep on the second floor is another room loved and frequented by Prince Hirobumi Ito, a statesman and key figure in the Meiji Restoration. These rooms tell the many fascinating stories of this culinary establishment. Just one room has a distinctly western style and yet it is so beautifully appointed with European antiques, French stained glass, a 100-year-old Persian carpet, and a chair from the times of Napoleon III, that it fits perfectly into the Kikunoi style. There is no question that a visit to Kikunoi feels like a stroll around an art museum, with works to admire at every turn. Chef Murata says the three keys to Japanese cuisine are perfume, texture and the element of surprise. Each is essential and without the surprise component, the diner’s response to a meal is at best indifference and at worst, boredom. The surprise can come through flavor, appearance or the story behind a dish – no matter what, it must be there. He firmly believes that people seek fine dining for entertainment, just like a concert, play or opera. Kikunoi’s cuisine aspires for an aesthetic ideal found in tea ceremony called kireisabi, which can be translated as ‘rustic elegance’. It demonstrates refined beauty without showy or flashy elements, and it is subdued but still shows vigor – not overly delicate or frail. The cuisine manages to stay ahead of trends whilst also maintaining traditions. 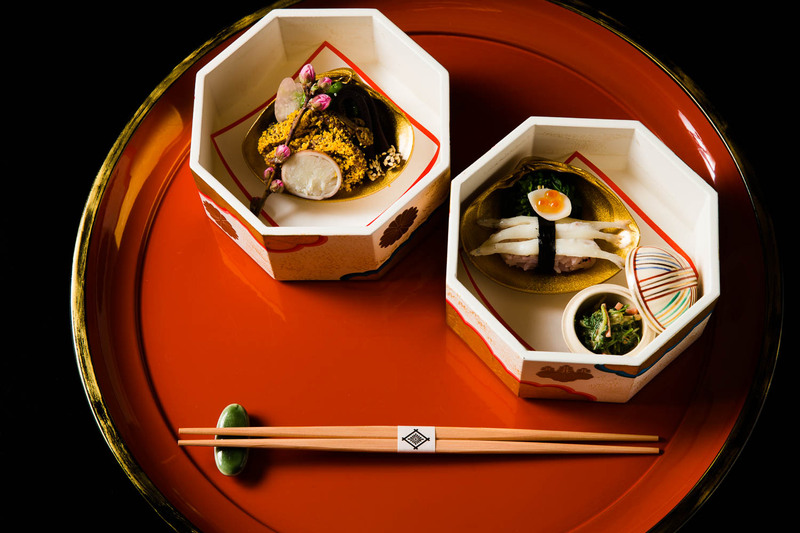 The menu changes between the 20th and 25th of each month and the following is just a taste of the incredible dishes that may be found in the early spring Yayoi degustation menu, following the pattern of a traditional Kaiseki meal. Hidden plum is a sakizuke amuse-bouche in which an umeboshi pickled plum is nestled beneath shirako soft cod roe and adorned with a peach blossom. This bite-sized treat has beautiful rounded flavor and sets the tone with seasonal motifs alluding to the plum trees blossoming outside and the peach flowers a reference to the Doll’s Festival held on March 3rd. 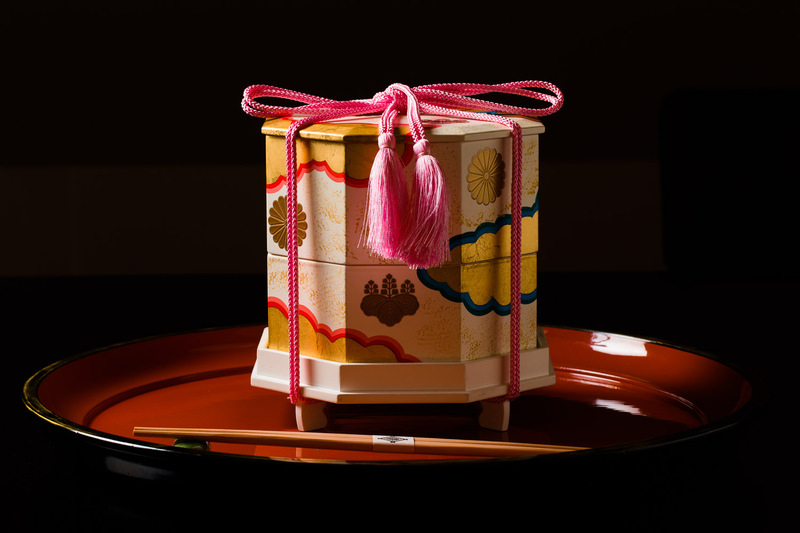 A special course containing a selection of seasonal delicacies from the mountains and seas called hassun comes with the especially charming presentation of decorative stacked boxes tied with pink cord. Your heart beats as you unwrap this stunning gift from the chef, revealing vegetables enveloped in young sansho leaves, ice goby fish sushi, octopus, mountain vegetables such as warabi bracken and udo shaped into flower petals, as well as the Kyoto specialty of Kintoki red carrots and carrot tops in a mustard sesame sauce. 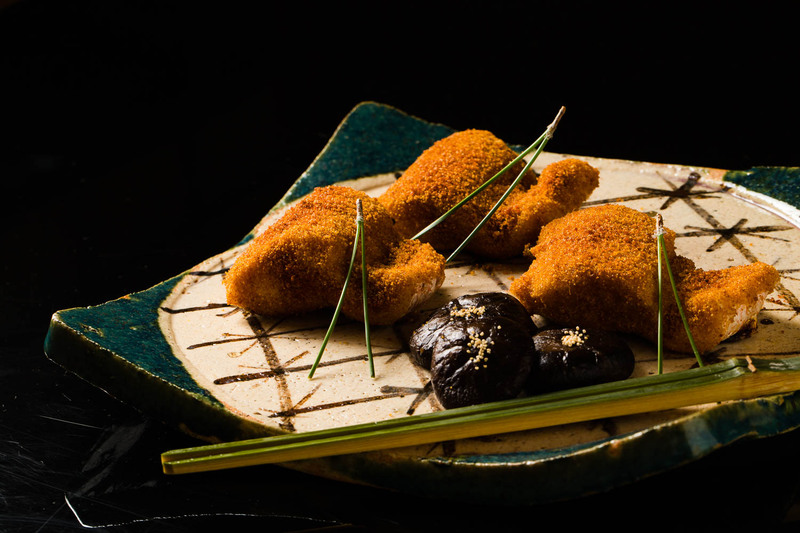 Later, when it is time for the grilled course known as yakimono, you may be treated to the prized tilefish known as guji, specially prepared in a breading of dried mullet roe, with donko shiitake mushrooms that mature slowly over the winter locking in rich flavors. 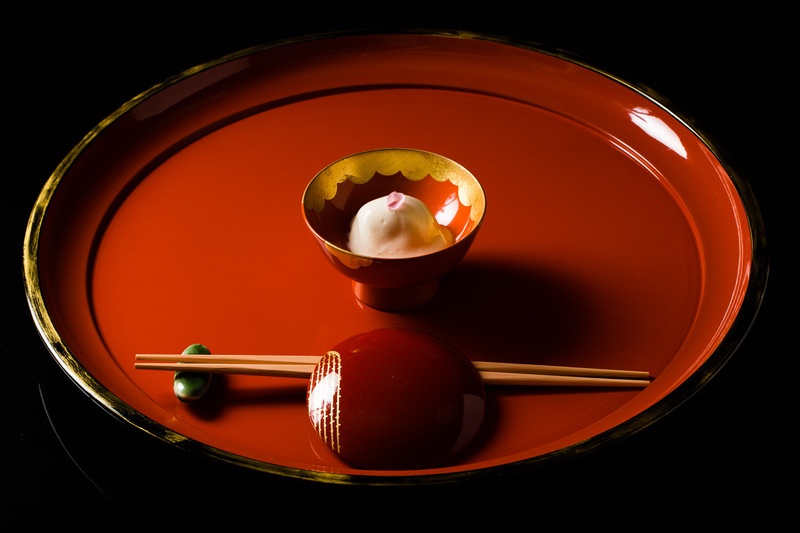 These delectable components are all served on a stunning plate created by the revered artist Rosanjin. The seemingly simple dish will absolutely wow you with its flavors. One of the keys to Kikunoi’s ability to create superb seasonal food is the fact that the chefs visit the source of their ingredients. It is not uncommon to find them helping in the fields of farmers growing their beloved Kyoto vegetables. One story goes that no matter how long they waited, a chef who had gone to collect produce just didn’t come back, only to be found completely absorbed in field work. These face-to-face interactions ensure a better understanding of the ingredients and procurement of items of a quality far superior to what can be found in the markets. Approximately 30 years ago, a group of chefs concerned about the diminishing resources of Kyoto vegetables set about revitalizing production of the richly colored and flavored vegetables Kyoto had once been famous for. They visited farmers who had preserved seeds of traditional vegetables and were growing them just for personal consumption, begging them to start growing more with a guarantee that they would buy whatever was produced irrespective of its shape and appearance. Word spread, and production has increased to levels meaning that these unique vegetables can be found in marketplaces once again. Premium seafood, including the plump and succulent sea bream found in the course, comes from a fishmonger in Akashi on the Seto Inland Sea whose relationship with Kikunoi goes back decades. Chef Murata even boarded the boats in his younger days, learning the keys to selecting the best seafood and the best way to showcase each variety’s flavors, be it with some interventions such as grilling, or the simple direct style of sashimi. Many Kikunoi guests time their visits with their favorite seasonal items. Ayu sweetfish, an ingredient intrinsically linked with early summer, all comes from a trusted supplier on Lake Biwa in neighboring Shiga Prefecture. And Murata is quick to mention that he does not limit himself to Kyoto and surrounds in his search for the best. An outstanding ingredient is welcome in the kitchens of Kikunoi wherever it comes from in Japan. A special space in just one corner of Kikunoi’s vast grounds is where all the ingredients are managed, and from here, twice a week, precious cargo makes its way to Kikunoi’s restaurant in Tokyo. Yoshihiro Murata was born in 1951 as the oldest son in the Kikunoi family. As a student at Ritsumeikan University in Kyoto he was a member of the golf club, a sport that he still adores but does not allow himself to play as it may affect his work. He travelled to France during his university years with the intention of studying French cuisine but was instead awakened to the beauty of Japanese cuisine. After graduating from university, Murata trained for three years at the Nagoya Japanese restaurant Kamome, before returning to Kyoto in 1976 to open his own restaurant, the present-day Roan Kikunoi. The tiny six-seat counter-only restaurant was uncomfortably quiet at first, and Murata spent hours poring over cookbooks of Japanese, Chinese and Western cuisine to pass the time. But within three years, the tide had totally turned, and it was impossible to get a seat. Since 1993, Murata has served as the head chef at the Kikunoi main restaurant, the third generation in his family to do so. He puts all his efforts into sharing the goodness of Japanese cuisine with the world, bringing new, flexible thinking to traditional cuisine. In 2004 he opened Akasaka Kikunoi, and in 2017 the latest addition to the group was made with the opening of the more casual Mugesanbo or Salon de Muge just next to the original Kikunoi. In 2012 he was honored as a “modern artisan” by the Minister of Health, Labour and Welfare, and in 2013 Kyoto awarded Murata with an award for distinguished service to culture. Murata has authored countless publications on Japanese cuisine and Kyoto culture, and he currently supervises the Singapore Airlines inflight menu alongside British chef Gordon Ramsay. Despite being busy with activities that reach the breadth of the globe, Murata also accepts invitations for television appearances, so long as they relate to cooking. He feels that more important than visiting Japanese restaurants is eating Japanese cuisine at home every day, and he would love to share his wife’s cooking more broadly with the world. There is always a great response to the recipes he shares, loved for their simplicity and great flavors. Murata divides his time evenly each month between Kyoto and Tokyo, with some overseas business trips in between. You would think this would leave very little time for socializing, but Murata values his friendships deeply, and is especially close to French Chef Alain Ducasse, who has dined at Kikunoi on many occasions. Movie director, actress and designer Sofia Coppola also looks forward to her visits to Japan to dine at Kikunoi and meet with Chef Murata. Chef Murata’s greatest motivation is to “make cuisine culture”, and he pursues that goal in countless ways. Murata is indispensable in the world of Japanese cuisine and one of the best at expounding on its qualities. He was a major contributor in washoku traditional Japanese cuisine being recognized by UNESCO as intangible cultural heritage. He is also the president of the Japanese Culinary Academy and can often be found presenting not just in Japanese, but in a handful of foreign languages. In addition, it was Murata’s urging that led Kyoto to implement a fully Japanese menu for school lunch, confident that it forms the best foundation for food education. In recent years, Murata has been engaged in the creation of a testing and evaluation system for Japanese cuisine, allowing chefs to prove their skills even if they have never worked at a famous restaurant. The goal is to ensure a strong pool of chefs who can take authentic Japanese cuisine to the next generation. Murata’s kitchen shows great international flair, manned by four to five foreign chefs from the US, UK, Korea, and other countries at any one time. The service staff are extremely well-versed in English and some are also fluent in Chinese. Clearly, Murata is building a firm foundation in many different ways to ensure the transmission of the culture of Japanese cuisine to future Japanese generations and to people around the world. Precious items abound in the tableware collection ranging from antiques to Kikunoi originals, and each steals your eyes as much as the cuisine they carry. 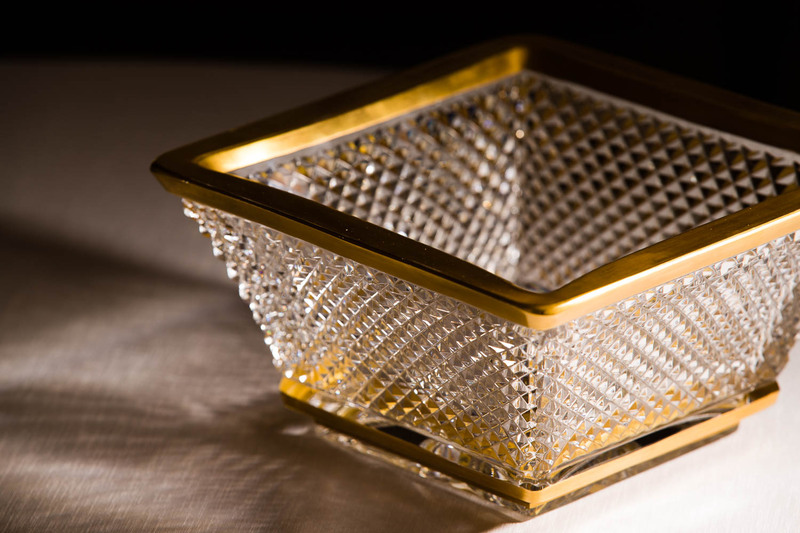 An golden-edged crystal bowl is 18th century Baccarat – an exquisite piece among about twenty antique Bacarat items in the Kikunoi collection. It is one of the earliest ever made by the French glassmaker, which has been making pieces loved the world over since 1764. The crystal piece was purchased through a tableware dealer in Osaka who places orders directly with Baccarat, allowing Kikunoi to select and special-order tea utensils and other items in the appropriate size for Japanese cuisine. The crystal adds to the cooling effect the chef seeks in summer and is complemented by other antique items from around the world. 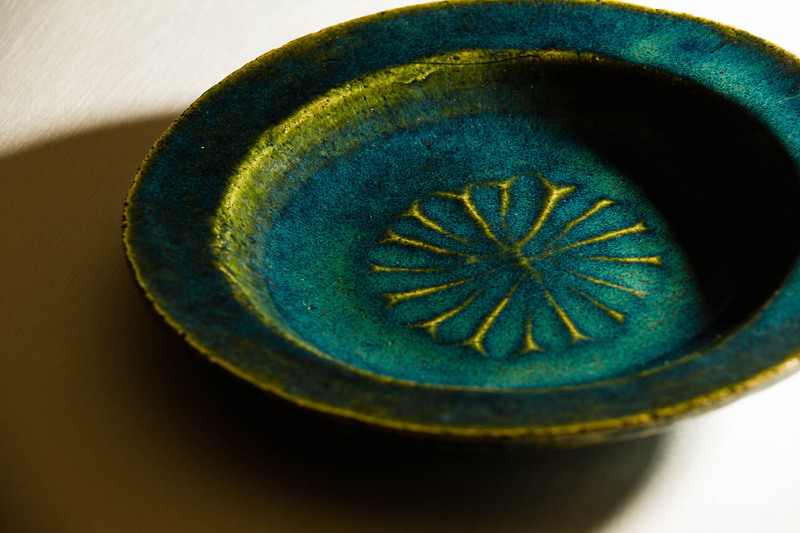 Adorned with a chrysanthemum motif, a favorite dish by famed artist Rosanjin was purchased by Chef Murata who was beguiled by the tones: “a kind of green and a kind of blue and an indigo like the deep ocean.” It is indeed an extremely rare hue, so beautiful you just want to dive into it. This is just one of approximately fifty Rosanjin pieces owned by Kikunoi, in an enormous tableware collection that occupies two whole rooms. With each new generation comes a renewed responsibility for caring for the countless priceless items. And each season, all the pieces are rotated to reflect the themes also found in the setting of the space and the cuisine itself, true to the style of authentic traditional Japanese cuisine.